Jake Wood is the co-founder and Chief Executive Officer of Team Rubicon USA, the purpose pillar of Mission43. Prior to Team Rubicon, Jake served in the Marine Corps with tours in Iraq and Afghanistan. In 2010, after recently seperating from the USMC and watching disaster unfold in Haiti, he took it upon himself to take a small team down to help the people in a country devastated by an earthquake. That action led to the creation of one of the most impactful veteran focused non-profits in the country. You have to be very deliberate about filling a void in your life when you depart the military. You served with some of the funniest, most hardworking, and enjoyable people, but all that comes to an end. Jake Wood took this to a whole new level and turned it into something amazing. This didn’t come by accident, he intentionally made the decision to find a way to have purpose in his life. No one does this for you, it’s up to you to seek it out. If you are in Team Rubicon you belong to a culture that isn’t satisfied with the status quo, especially in the way relief organizations support people affected by disasters. The TRibe is very intentional about analyzing what they are doing and then seeing things through to make them better. So think about what is it that you value, and do the people you associate with share that same idea? You are a reflection of the company you keep. On the battlefield, we inherently had to made quick decisions with imperfect information and limited resources. This is tough to teach, and we are the very few who were fortunate enough to have been through the experiences that require us to be that way. 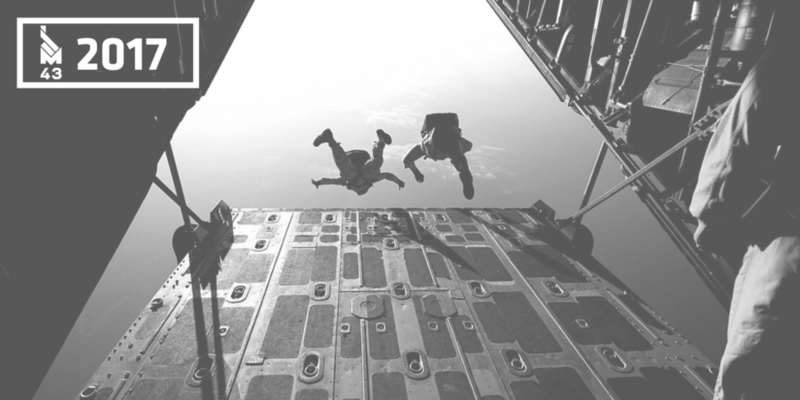 Maintain that bias for action when you leave the military, it brings value to those around you. When a group of Idaho Team Rubicon members heard there were contaminated sandbags and debris along the Boise River that needed to be cleaned up, they got to work and helped Ada County Emergency Management restore the riverbank to normal as flood waters receded. Rivers swelled and stayed in flood state all across Idaho after a record 2017-2018 winter. While the sandbags helped defend local homes and apartments against the rising waters, when the river returned to normal levels massive amounts of debris and hundreds of sandbags remained along the riverbank. "This was dirty but important work. The contaminated sandbags needed to be removed before causing health issues for residents of the affected community. 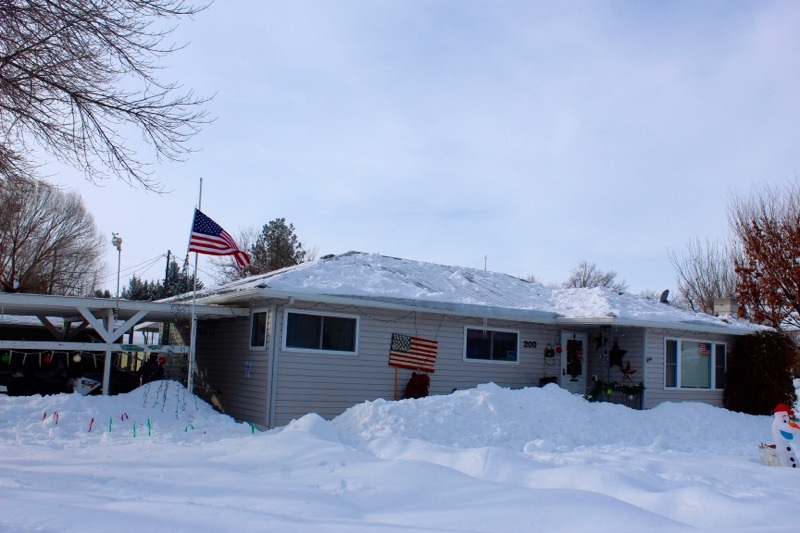 This is a great example of how former military are still serving their communities. Local Team Rubicon members came together, worked in 100 degree heat, and made quick work of the task, saving Ada County money in clean-up costs and helping a community return to normal." - Brian J. Von Herbulis, Team Rubicon Idaho. Brian Von Herbulis, Team Rubicon BLM Program Coordinator, just took home a $15,000 first place prize for his tech-focused idea at the 2017 Idaho Entrepreneur Challenge. Class I, V, and VI (food, ammo, and booze....well not really booze) is often hard to re-supply for those on the front lines. 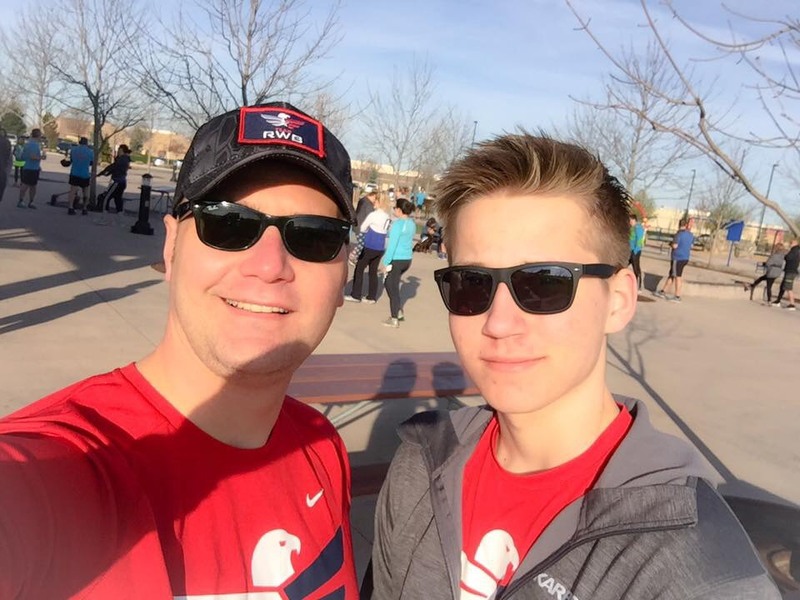 Brian knows this from experience as a commander of warriors in Afghanistan, and he used that knowledge and a lot of ingenuity to develop a one-time use drone that glides to predetermined coordinates with almost 700 lbs of supplies. He says this isn't limited to military use because there is much more this technology can do in terms of opportunity and capability. Think of the potential for disaster relief or support to wildland fire fighters! The Idaho Entrepreneur Challenge was hosted by the Boise State University Venture College and was open to any college or graduate student throughout the state of Idaho. Brian competed against over 70 other entrepreneurs, ideas, and teams. Brian is the epitome of "Lead. Learn. Inspire." and we just want to congratulate him on a hard earned and much deserved first place prize. Nicely done! 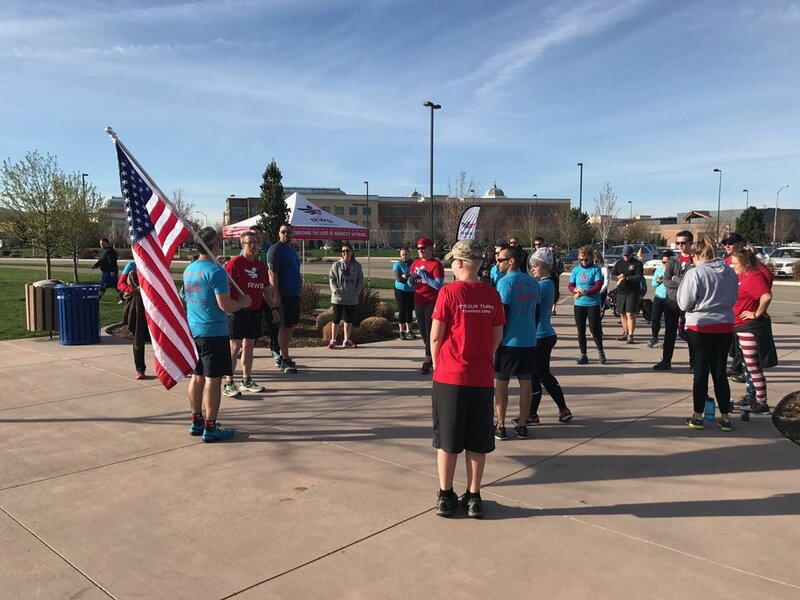 The Boise Team Red, White, and Blue chapter took the lead in bringing together Team Rubicon, The Mission Continues, and the community for Run As One in the Treasure Valley. Close to forty people, including including lots of families, came out for the near perfect weather in Kleiner Park in Meridian. 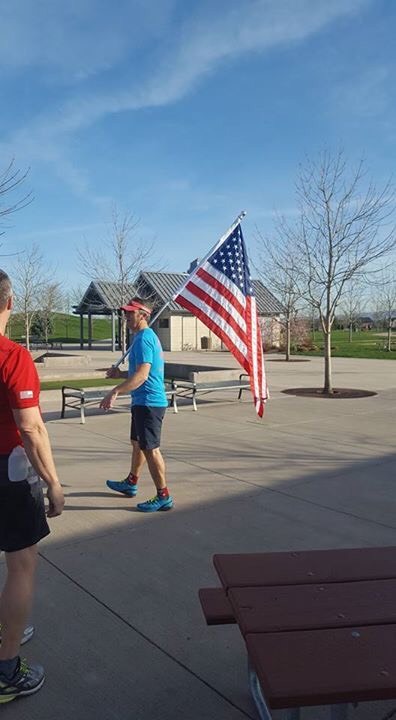 We were also joined by Brandon Frank, the owner of Fleet Feet Meridian, who has been a great friend in the community and has included Team RWB in their weekly Wednesday runs. The day began with a group walk around the park. Old Glory looked good surrounded by veterans, families, and friends! After the walking lap, Chad Rohr kicked off the 5k run with the leader of the pack coming across the finish line in under 23 minutes! The day finished with food and refreshments supplied by Team RWB. Chad did a fine job on the grill and served some delicious grilled cheese sandwiches. 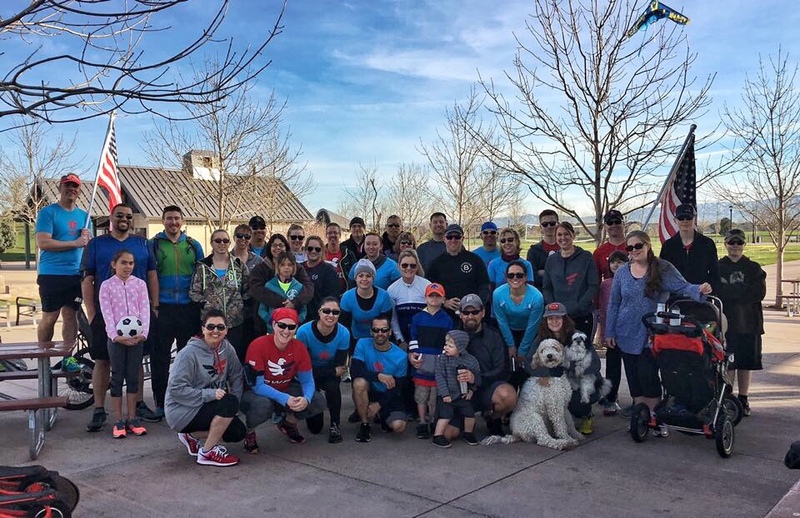 Run As One 2017 was a great way to kick-off the arrival of warmer weather, which means lots more activity outside! Each year, Team Rubicon selects a cohort of fellows for a 12-month leadership and training program within Team Rubicon. A recent graduate (and now the dude cruising the country running the TR Mobile Training Center, Jerome Deniz, came and briefed the Idaho Team Rubicon members on his experience. Here it is in a snapshot: train to be deployable, deploy in different roles on TR operations, work with a mentor along this journey, complete a TR capstone project, all wrapped up in a year of self-discovery to achieve a successful life and transition! We recommend you check out this video on the CHFP to learn more. We haven't had an Idaho Clay Hunt Fellow and you could be the first! Team Rubicon Clay Hunt Program Information and Application. Jerome Deniz, briefing Idaho TR members on the Clay Hunt Fellowship Program. This operation represents the growing presence of TR in Idaho and their first ever Idaho based operation. More veterans are taking steps to find purpose after the military and actively serve their communities. In order to make this happen, the Rubicon City Coordinator Sandra Rollings (Army combat medic with two Iraq deployments), did a damage assessment and determined it would beneficial to the Payette Community for Region X (Team Rubicon uses the same regions as FEMA for organization) to deploy. Then, just like she did in the military, she pulled together all the assets needed for the mission, utilized the right people, and went to work. 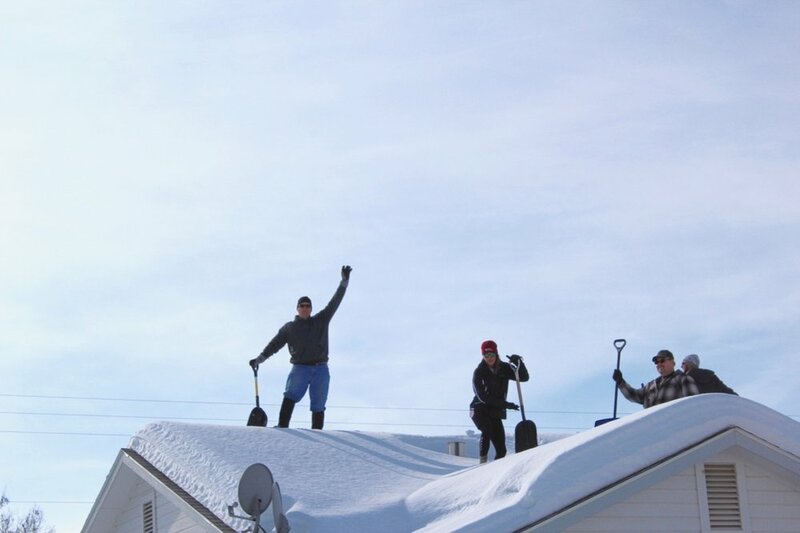 The Operation Payette Forward volunteers removed snow off of roofs and cleared the way for the upcoming melt over a four day period. Look out for more TR activity in Idaho! How does Team Rubicon decide on what areas to focus when they deploy on a natural disaster? One of the tools they use is Palantir. Palantir is a technology platform used for things like picking apart terrorist networks. Now it has been adapted for Team Rubicon to figure out where they can have the biggest impact in serving those who need it most. Good initial data collection on an operation is key! Now, a group of TR members in Idaho are qualified on this tool after completing this training. Thanks to those who attended and the Team Rubicon training team that came into town to help out! There is more Palantir training coming in 2017, so what our events page and we will post it. This Idaho based training almost didn't happen. The Bureau of Land Management (BLM) had their 2016 Team Rubicon Red Card training schedule set, but with Team Rubicon's new increased presence in Idaho with Mission43 and Boise having the National Interagency Firefighting Center (NIFC) we were able to make this happen. Classes were held at NIFC and the field training portion was done up the road near Idaho City in the Boise National Forest. Over 20 veterans completed the course and earned their "Red Card," which certifies them to fight wildland fire on a Type II crew. Now, in partnership between Team Rubicon and the BLM, they can be called up short notice to deploy around the country and be on the front lines of fire. What did their schedule look like? Day 1: In-processing and 45lb weighted pack test. Day 2: Classroom ops covering ICS, fire behavior, PPE, and human factors. Day 3: Field Day! Learn to use the tools and operate safely on the fire line. Day 4: Wrap up and graduation. If you are interested, we are already planning on doing this next year. As always, watch our events page for that announcement. June 10-13, 2016 at the National Interagency Firefighting Center and Boise National Forest. Team Rubicon Wildland Firefighter Type 2 certification (aka "Red Card") training. 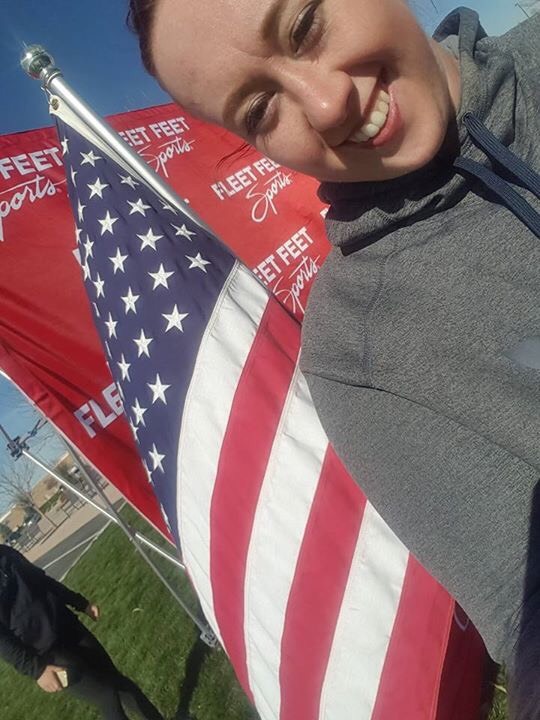 Run As One is an opportunity to establish and renew bonds with our brothers and sisters in Team RWB, Team Rubicon, and The Mission Continues. Shared purpose and hard work towards a common goal builds the strongest communities. 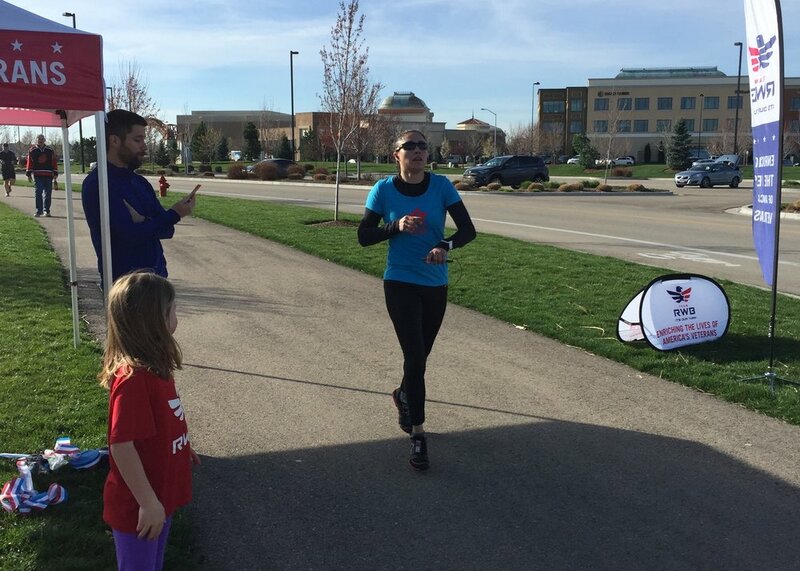 This year's event was spearheaded by the Boise chapter of Team Red, White, & Blue and held at the campus of the Boise VA Medical Center. A couple of laps and some camaraderie, nothing better!